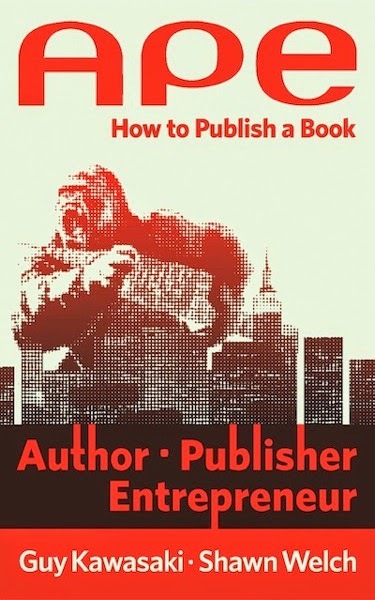 Just Create: So You Want to Self-publish: Part Two Go APE! So You Want to Self-publish: Part Two Go APE! In my never ending quest to help you to be masters of your own destiny; I am sharing another great resource with you. This book by Guy Kawasaki and Shawn Welch, titled APE: Author, Publisher, Entrepreneur. Self-publishing can be a complex, confusing, problematic and arduous process. If that scares you, then you should get this book to avoid the pitfalls inherent in publishing your paper or e-book. previous - So you want to self-publish? Today get my free comic! So you draw dem dere' funny books?